Thursday morning was spent in Tagaytay, because of work. After taking care of business, came breakfast at Buon Giorno at the Cliff House. It was a gloomy, gloomy day, tropical storm Falcon having reared its ugly head. You can barely see the embattled Taal Lake down below because of the fog. Buon Giorno was actually closed when we got there, equipment malfunction, they say, such that they cannot yet serve any serious food except for some sandwiches. But the staff let us in, bless their soul, when we said all we wanted was hot coffee. 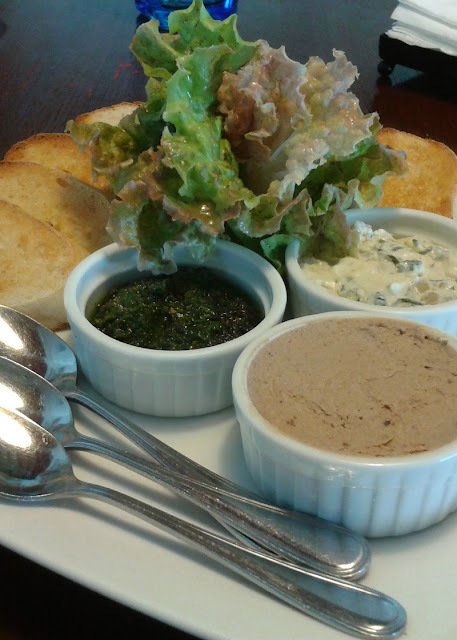 We ordered Cafe Americano and Trio of Crostini (thin slices of lightly toasted bread served with pesto, chicken liver pate and mushroom dip). Good hot coffee is second to none on a cold rainy day, and Buon Giorno serves the really good stuff. And the dips for the crostini- they were all delicious, the chicken liver pate even more so. The pate has a delicate flavor and particularly velvety to the tongue which makes it a wonderful counterpoint for the crusty crostini. These made the day a little less bleak for me. 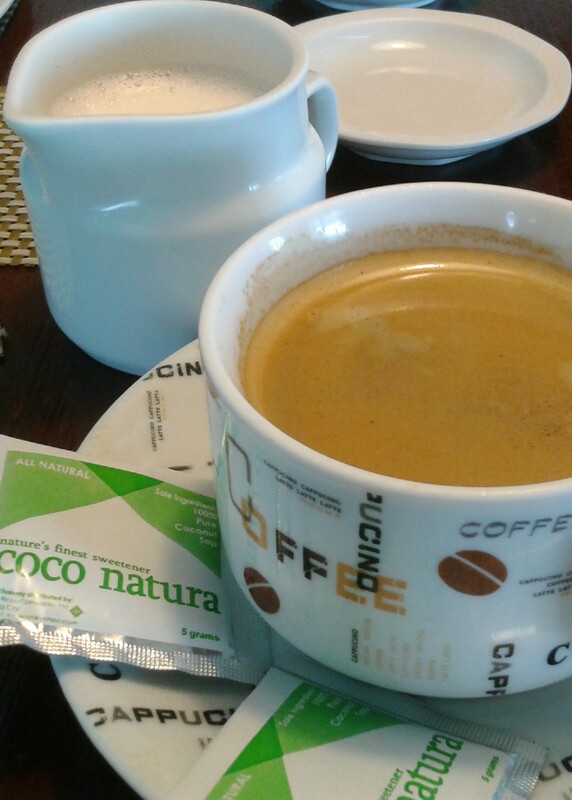 Buon Giorno is located at 4 Cliff House, Tagaytay City, Cavite, Philippines. For reservations contact (046) 483-2102.